Loveland Therapist: Samantha Ricard - Therapist 80538. Send A Message To Samantha. With extensive training and experience, paired with an uncommon warmth and vivacity, Samantha is able to offer the resources and support you need to improve your life. She earned her Master's Degree in Family Studies and Human Services with an emphasis in Marriage and Family Therapy from Kansas State University. Samantha also holds a certificate in Gender, Women, and Sexuality. She has specific experience and training in treating eating disorders, gender identity, and relational issues. She uses a combination of Narrative, Existential, Cognitive Behavioral Therapy (CBT), Acceptance, and Commitment Therapies with her clients. She will work with you until you have reestablished trust in yourself and your loved ones and achieved the changes you desire. Previously, she spent time working with college students at Kansas State University; short-term therapy focusing on her clients' strengths. Through these experiences, Samantha developed an area of clinical expertise in working with a large variety of concerns: daily, family, and big changes. Even further, she gained a wealth of knowledge of the issues that LGBTQ individuals face. She practices an open, non-judgmental, environment to create a safe space for those individuals to express themselves and work through the everyday challenges they may deal with. Samantha has also provided therapy services to a variety of at-risk populations in a community mental health setting. Samantha takes care of herself and her own family, to ensure she can most effectively help take care of you and yours. She continually seeks out mentorship and training, to continue to grow her skills as a counselor and therapist. She believes in the balance of work, family, and self-care so that she can continue to offer exceptional counseling services to her clients. 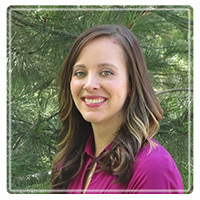 Samantha works with individuals, couples, and adolescents in Northern Colorado who are seeking counseling for a variety of concerns, including anxiety, depression, eating disorders, bullying, cutting, self-worth, and grief recovery. As well as working through life transitions, drug and alcohol abuse and recovery, anger management, career issues, communication, intimacy, divorce recovery, affair recovery, blended families, and other relationships issues. Samantha offers counseling services in Loveland, Colorado and surrounding areas. Contact Samantha by email or phone. You can usually schedule your initial consultation within 24 to 48 hours and it is free. She offers flexible hours to work with your busy schedule. Get started today to get the help you need to achieve the life you want.